Since its implementation in 2015, OSHA’s Hazard Communication Standard has made OSHA-compliant hazard pictograms part of the visual landscape in U.S. workplaces. But are you sure your employees know what all the symbols mean? Ensure that your workers have a visual reference key for the hazard pictograms available throughout your facilities, wherever they may encounter OHSA-labeled containers. 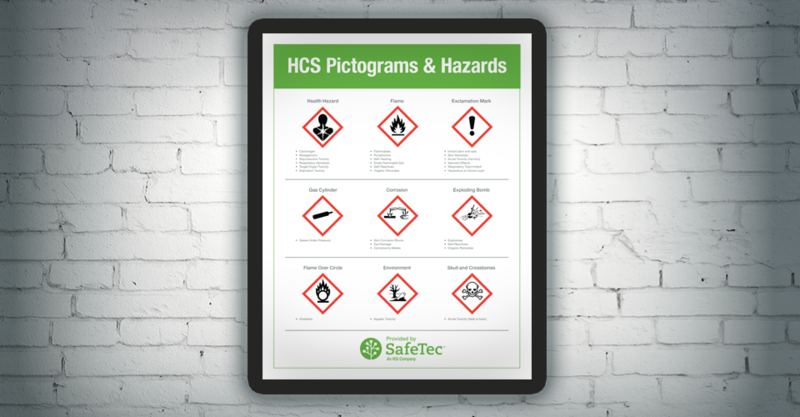 SafeTec has created downloadable PDFs featuring the HazCom pictograms that you can easily customize with your company name and logo, contact information for your EHS team or emergency hotline phone numbers. To download your free PDFs, click the button below. Need more information on HazCom and GHS-compliance? Check out SafeTec’s eBook, “The 5 Step Guide to HazCom Compliance.” You can download it here.